Hotel Termales San Vicente: Varaa yöpymisesi huippuhintaan – arvosana 8,3 muilta matkailijoilta. Almost everything : location is beautiful, waterpools are outstanding, great walk around the site with the guide! We also took the full spa package (mud, fruit therapy, peeling sand...and relaxing massage) : just amazing!! Guests of the hotel have access to 2 extra pools set in the middle of nature, which are definitely the best ones. This is a fantastic place. The site is very isolated and very very beautiful. The thermal baths are marvellous. It is a bit more than an hour from Santa Rosa by jeep, and, therefore getting there was a marvellous experience. The food was good and the temperature was excellent. I would go back there in a heart beat. Do note that as part of the isolation there is no internet or TV. The staff was very accommodating, helped us in every way. We really enjoyed the thermal swimming pools, especially the ones that were just for the hotel guests. The ponchos provided by the hotel were great for walking to and from the thermal pools. The hotel offers several treatments, we really appreciated the massage after a 3-day hike in Los Nevados National Park. Comfy room for the price, right next to the main thematic baths. We arrived late (9pm) and there was something for us to eat and the spa was open until 12pm. The pools; the location; staff is friendly and helpful. The place is amazing;the natural environment is absolutely breathtaking, the hot springs are great, it is one of the best hot springs I've visited in the world. Estar en contacto total con la naturaleza en un lugar cómodo y con buenos servicios, es un sueño, pero en nuestro caso lo pudimos vivir y fue una hermosa realidad gracias a Termales San Vicente. 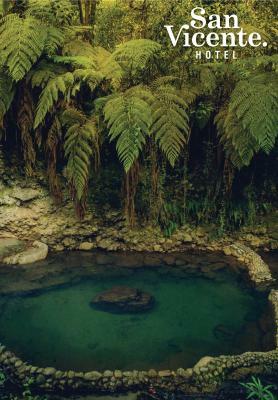 Set in a lush forest, Termales San Vicente offers a variety of thermal pools and spa treatments. With 163 species of exotic birds, it provides opportunities for hiking and extreme sports. Oats and honey scrub, mud therapy and fruit therapy are among popular treatments at San Vicente. Guests can relax in the outdoor pool, hammam or Turkish bath. There is also a separate pool for kids. Enjoying views of the surrounding forest, all bungalows come with private bathrooms and minibars. Free Wi-Fi is available in all public areas. 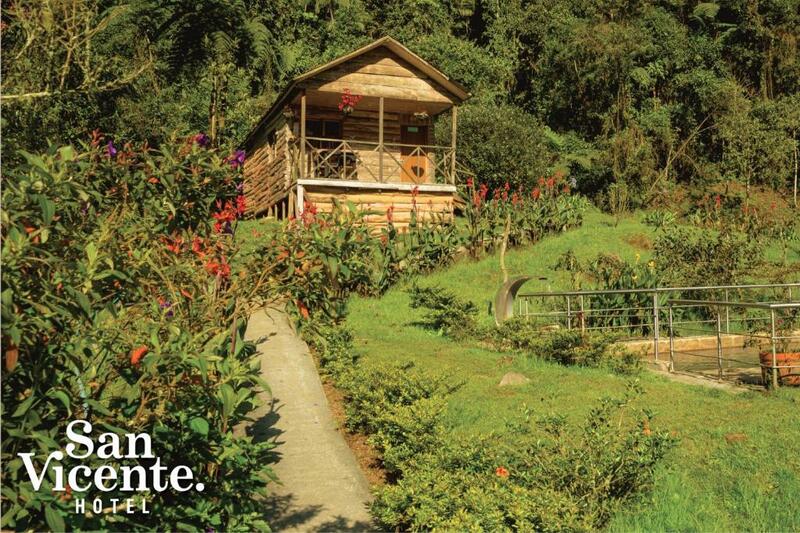 Termales San Vicente is located 45 minutes’ drive from the centre of Pereira and about an hour’s drive from Pereira Airport. Santa Rosa de Cabal is 28.6 km away. Hotel Termales San Vicente on toivottanut asiakkaat tervetulleeksi Booking.comissa 21. kesäk. 2011 lähtien. Milloin haluaisit yöpyä majoituspaikassa Hotel Termales San Vicente? The bungalow is located near the main swimming pools and features a double bed and a private bathroom with a hot water shower. The bungalow features rustic country style décor and is equipped with a double bed, bunk beds and a private bathroom with a hot water shower. The bungalow is located near the main swimming pool. Traditional wooden bungalow located close to the main swimming pool. The bungalow features a double bed, a single bed, a fireplace and a private pool. Mukavuudet: Hotel Termales San Vicente Mahtavat mukavuudet! Arvioiden pistemäärä on 8,4. Talon säännöt Hotel Termales San Vicente ottaa vastaan erikoistoiveita – voit lisätä sellaisen seuraavassa vaiheessa! Ilmainen! Kaikki alle 3-vuotiaat lapset majoittuvat ilmaiseksi kun käytetään huoneessa olevia vuoteita. Hotel Termales San Vicente hyväksyy nämä kortit ja pidättää oikeuden tehdä kortiltasi katevarauksen ennen saapumista. Ilmoitathan majoituspaikalle Hotel Termales San Vicente etukäteen arvioidun saapumisaikasi. Voit kirjoittaa sen Lisätietoja-kohtaan varausta tehdessäsi tai ottaa yhteyttä suoraan majoituspaikkaan. Yhteystiedot löytyvät varausvahvistuksesta.